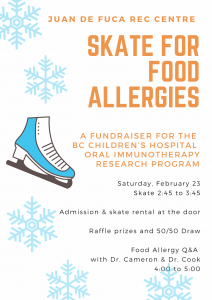 Check out the events happening across Canada in February and March including BC Children’s Hospital “Skate for Food Allergies” fundraiser and the first Canadian Free From & Allergy Friendly Expo. Plus, register for an upcoming webinar on the basics of food allergy and anaphylaxis and connect with a support group! 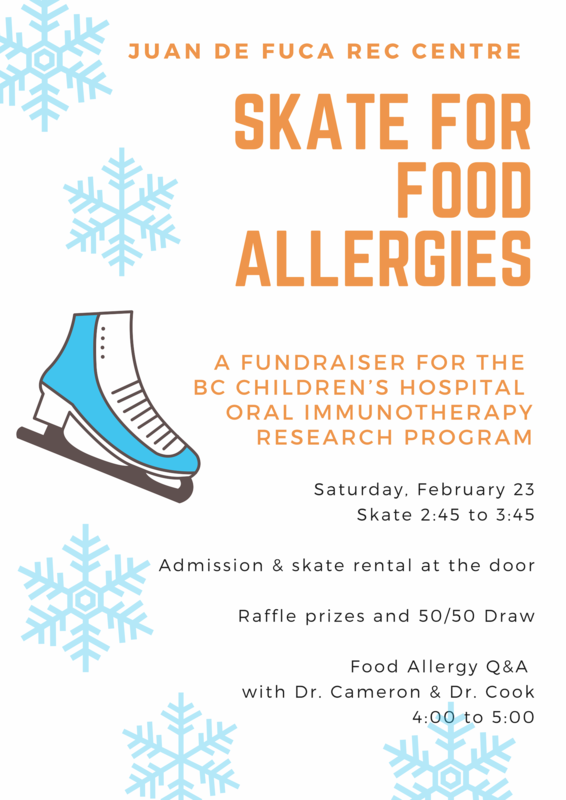 BC Children’s Hospital is hosting a “Skate for Food Allergies” fundraiser in support of their Oral Immunotherapy (OIT) Research Program. 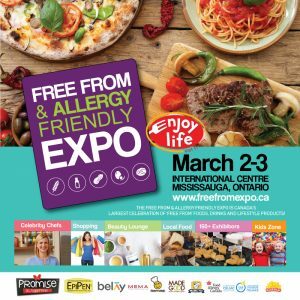 The Free From & Allergy Friendly Expo is Canada’s largest consumer celebration of ‘free from’ food, drink and lifestyle products. Food Allergy Canada will be at the conference! Stop by our booth (#420) for free resources and information – we’d love to meet you! Be sure to attend our session on food labelling, you’ll hear what’s underway to ensure that consumers impacted by food allergy can make informed choices through improved labelling. Visit freefromexpo.ca to register. Food Allergy Canada members get 15% off online admission tickets, use the discount code FACANADA15 (valid until February 22nd). Attend one of our free webinars that provide fundamental information for managing food allergy and anaphylaxis. These webinars are primarily geared towards parents of children who have been recently diagnosed with a food allergy. Currently, we are offering 90-minute small group webinars (up to 4 participants) to allow for more interaction. Next available sessions are in March. These sessions are quite popular and are filling up fast, be sure to register for a session early. If you have already attended one of these webinars, please help us spread the word so others can also benefit. Please share! Join us on March 31st from 7-8 pm EST to talk about how to raise food allergy awareness. 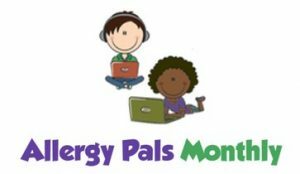 Have your 7-11-year-old kids participate in our free Allergy Pals Monthly webinars, which cover key information about managing food allergies. Register your child for the March webinar where they will learn how to raise food allergy awareness. Support groups provide a warm and caring environment for you to get help in dealing with the day-to-day stress of being at risk of anaphylaxis or having a child who is at risk. Plus, it’s a great way to keep up-to-date on any new developments in the food allergy community. 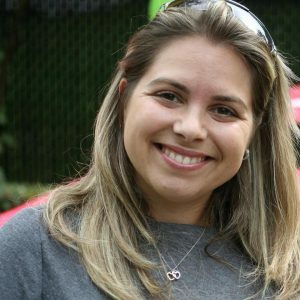 Discover the benefits of joining a support group and get to know our leaders! 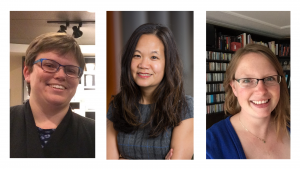 Read about our support group leaders from across the country. To connect with one of our other support groups, visit our support group page. If there isn’t one in your community, we’ll help you get one started.